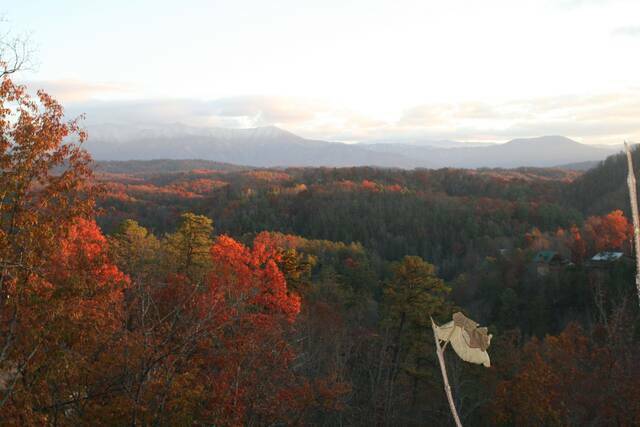 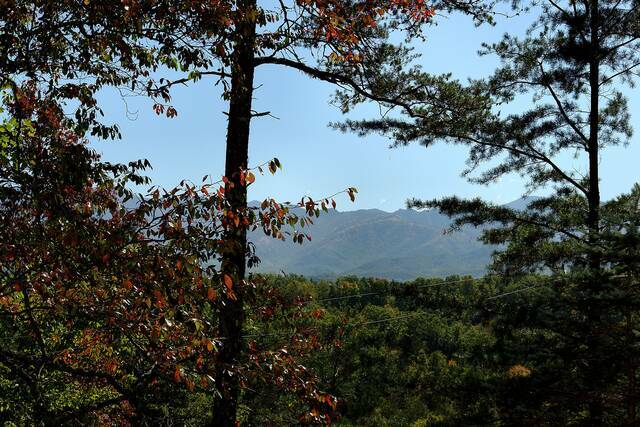 If you are looking for a Million Dollar View in a private and secluded romantic cabin then look no further than Bear Necessities Cabin Rental in the heart of the Great Smoky Mountains! 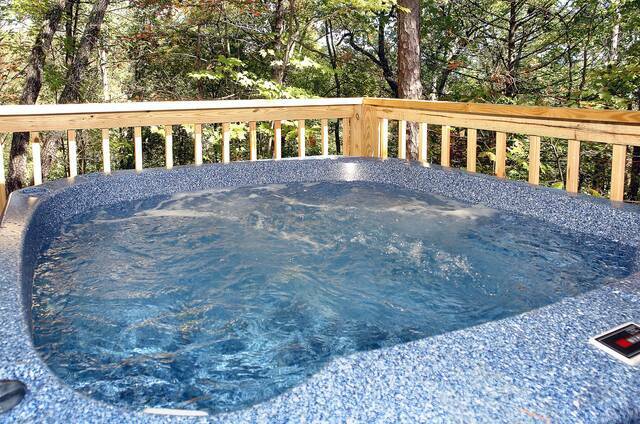 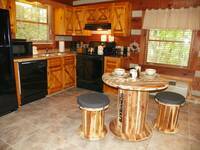 Bear Necessities Honeymoon Cabin features one of the most amazing views of the Smokies you will ever experience! 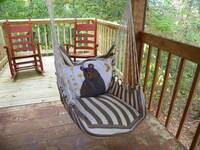 Relax on the front porch and swing away your cares as you experience nature at its finest. 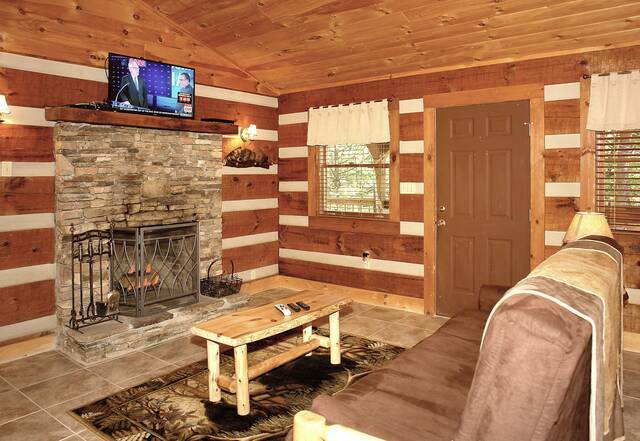 Retreat inside where you will find a comfy queen bed, whirlpool for two, WOOD BURNING FIREPLACE, satellite TV, fully furnished kitchen and separate full bath WITH SHOWER. 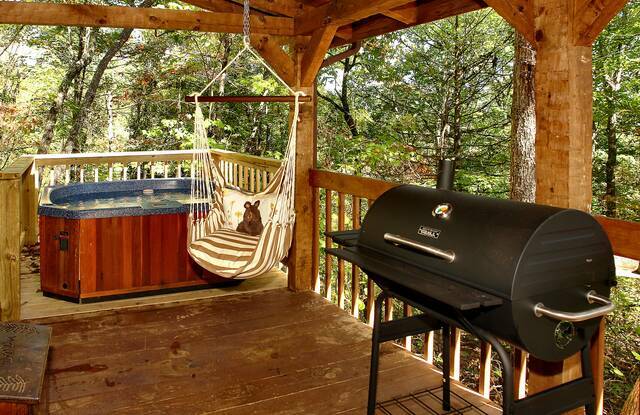 The SIDE deck will become your favorite spot to unwind, where you can enjoy a bubbly hot tub massage, cook on the charcoal grill and dine underneath a treetop canopy while enjoying the 180 degree view of the mountains. 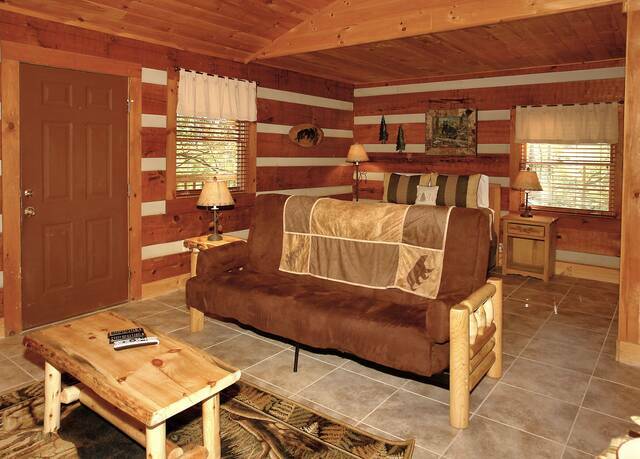 Once you have experienced the views from Bear Necessities Log Cabin you will decide that you have found your perfect Cabin in the Smokies! 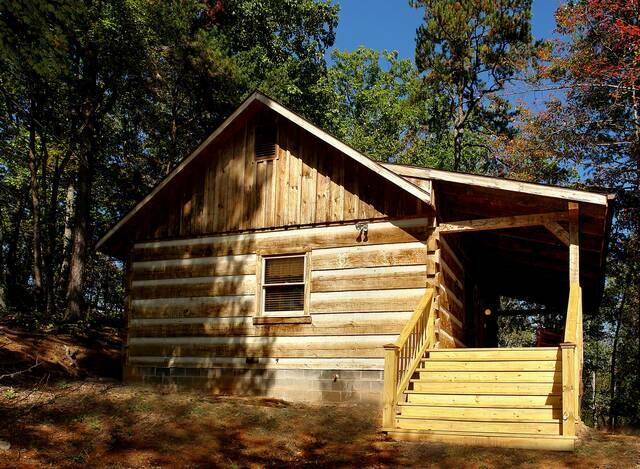 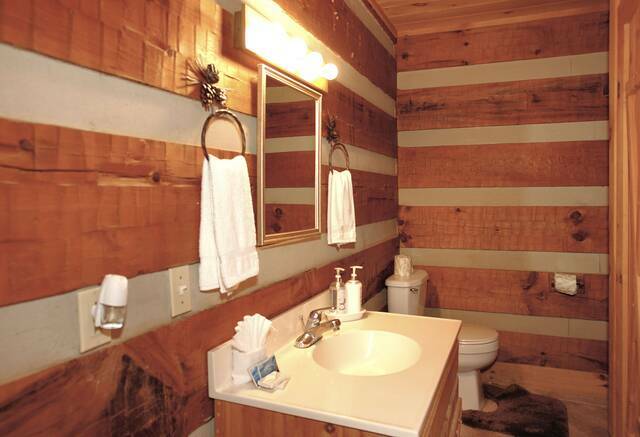 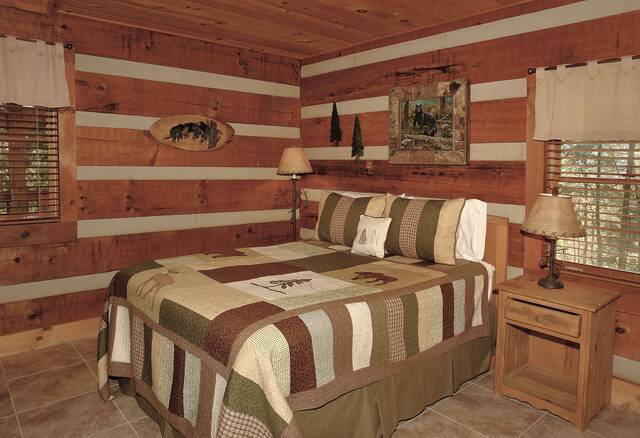 With this true log cabin you can enjoy the peaceful surrounding of The Great Smokey Mountains National Park in your very own Log Cabin Retreat yet minutes away from Pigeon Forge, Gatlinburg and Dollywood. 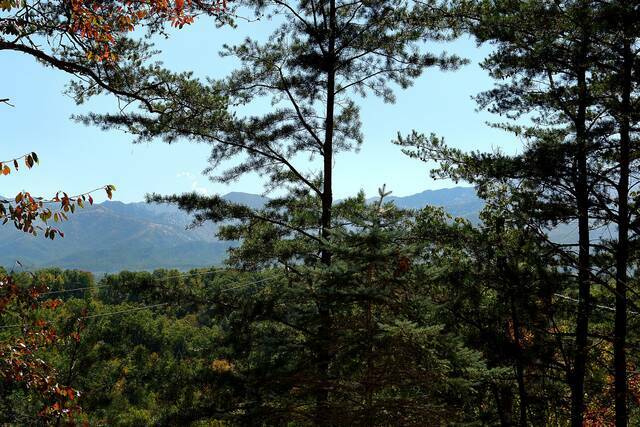 The natural beauty of this setting would also be perfect for a romantic cabin wedding! 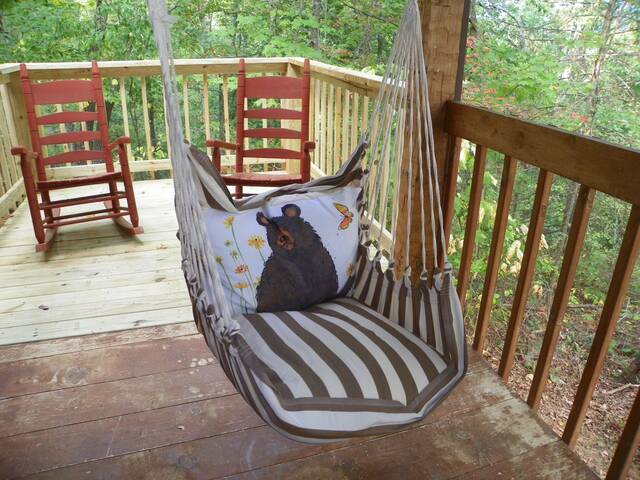 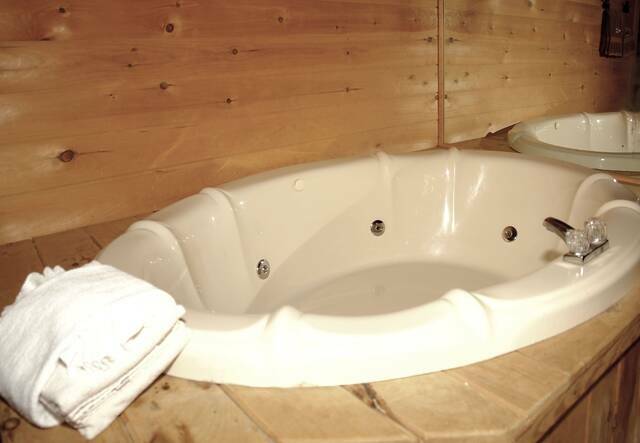 Bear Necessities Cabin Rental welcomes small pampered pets in this Pet Friendly Gatlinburg Cabin Rental great for those pets who enjoy a romp in the country!